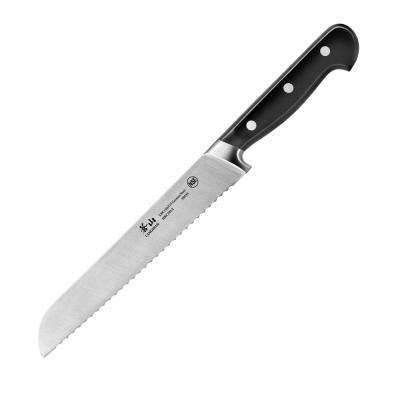 If you’ve ever brought home a loaf of crusty French bread you know that slicing it is no picnic. 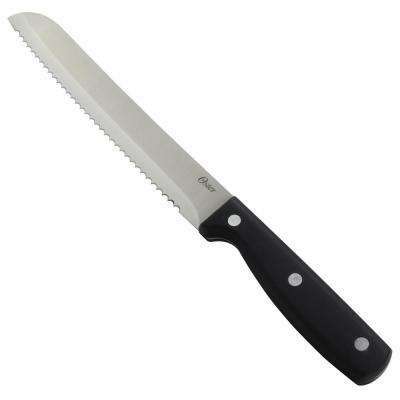 A bread knife makes this task easier. 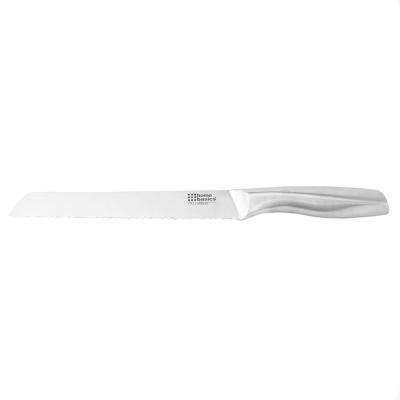 These knives are specially designed to slice and cut through baked goods cleanly and evenly. 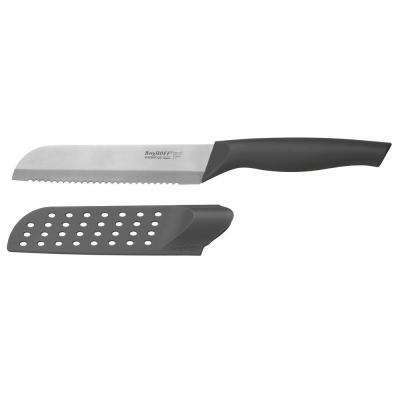 Their blade is serrated to help you easily slice through the bread without crushing the soft loaf. •	Use an offset serrated knife when cutting crusty breads in a back-and-forth sawing motion. 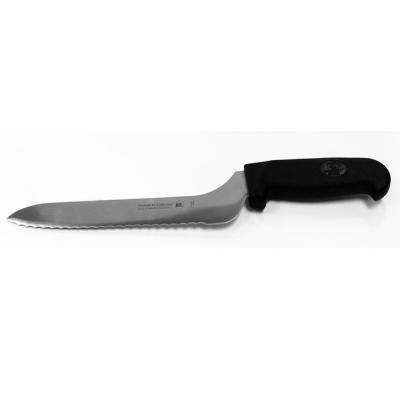 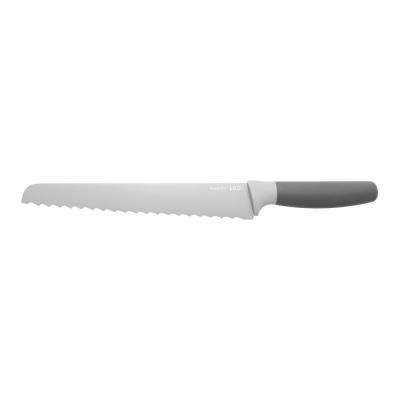 •	Select a professional bread knife for optimal comfort. 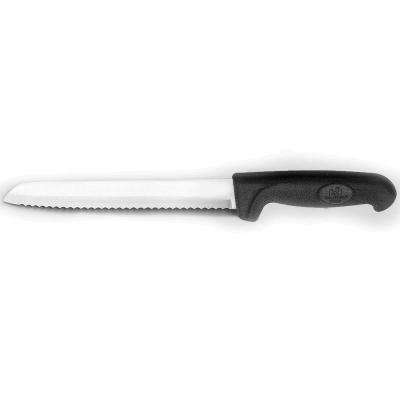 They’re typically around 10 inches long with a thin, ergonomic handle. 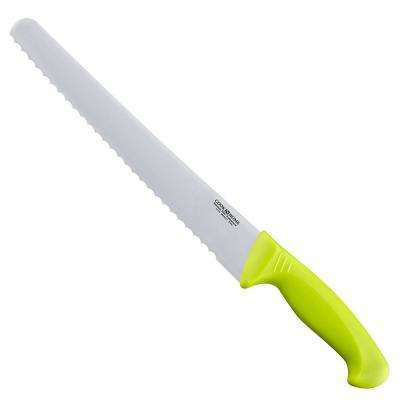 They sit comfortably in your hand when you need to cut through multiple loaves. 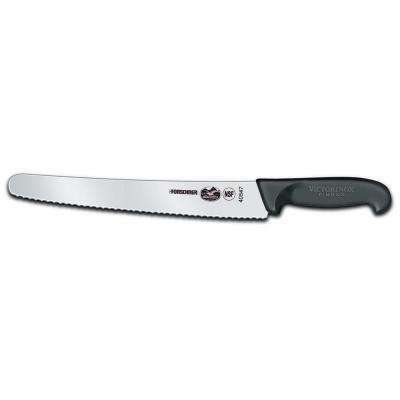 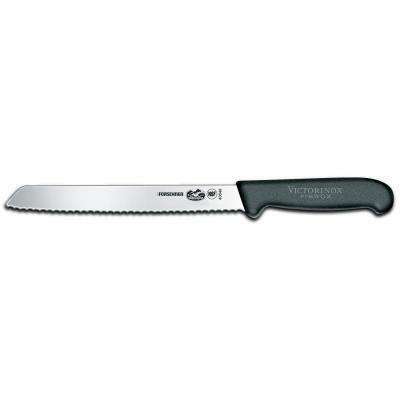 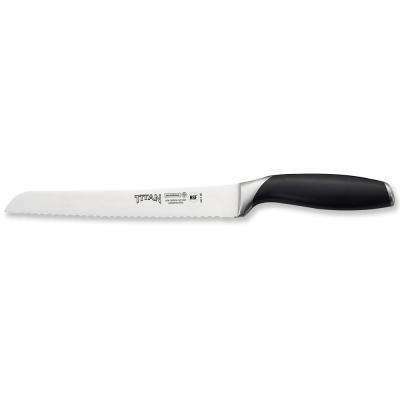 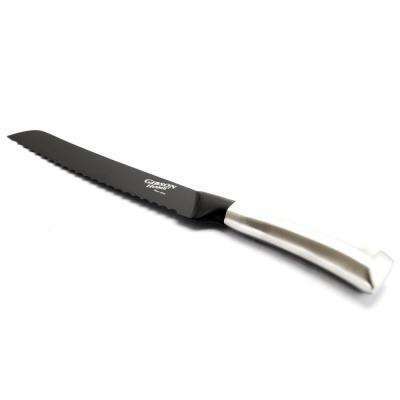 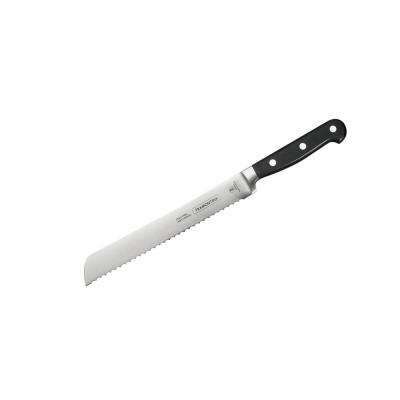 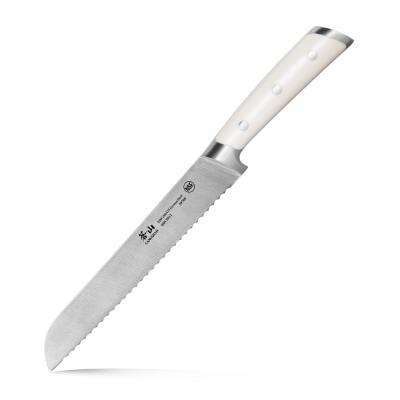 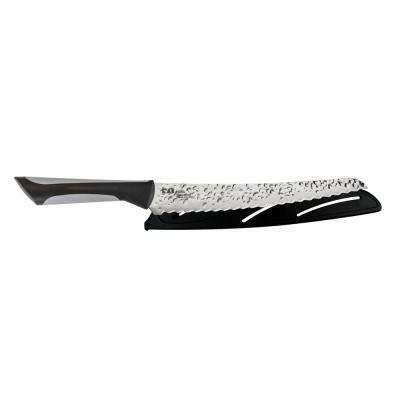 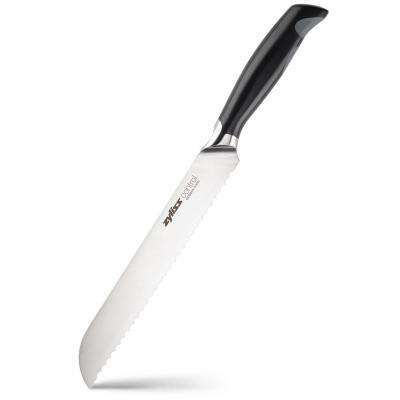 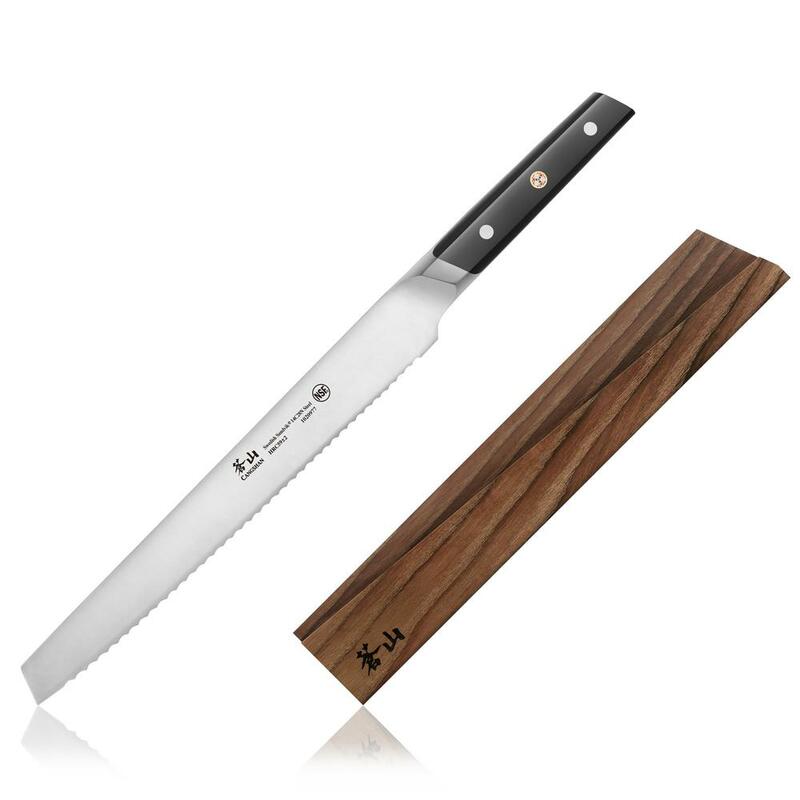 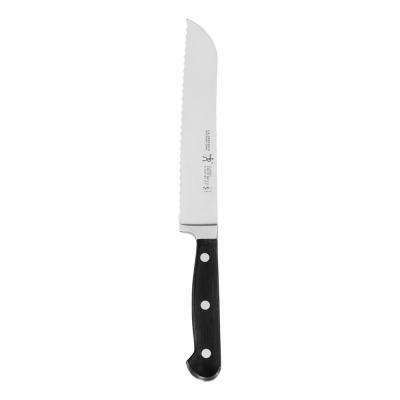 •	Choose a stainless-steel bread knife for hard-crusted breads. 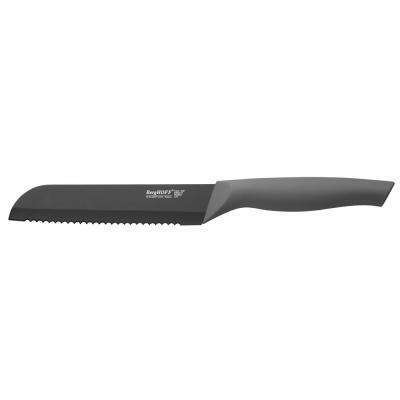 It makes slicing easy and leaves fewer crumbs behind. 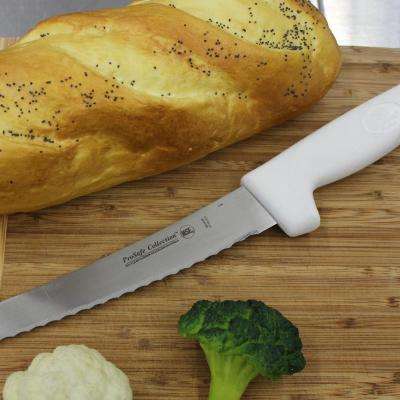 •	Improve your homemade bread with a bread scoring knife. 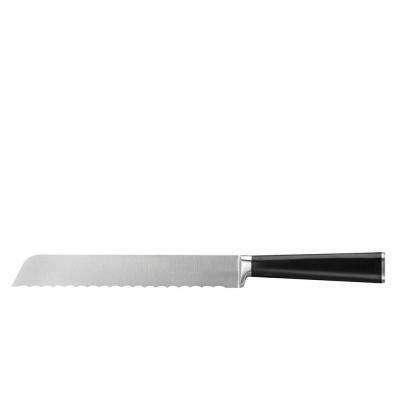 This is a straight or curved razor blade mounted on a handle. 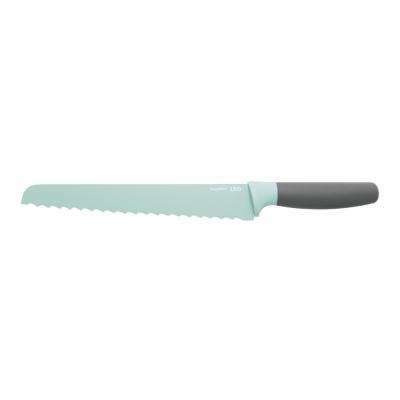 Use it to make small cuts in the dough before you put it in the oven. 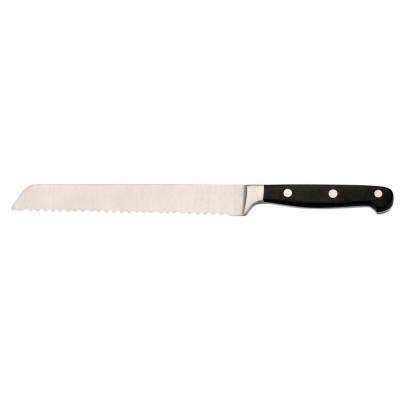 The cuts will control how the bread expands in the oven during baking, creating a better texture and taste. 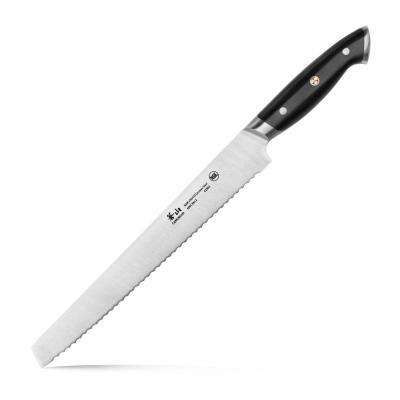 Consider the type of handle you want as well. 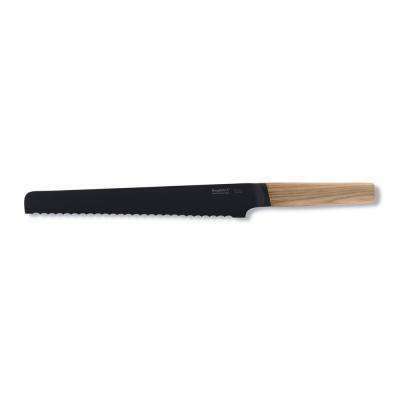 Options include a traditional wooden-handled bread knife or knives with a textured and soft-grip handle to provide greater comfort during use. 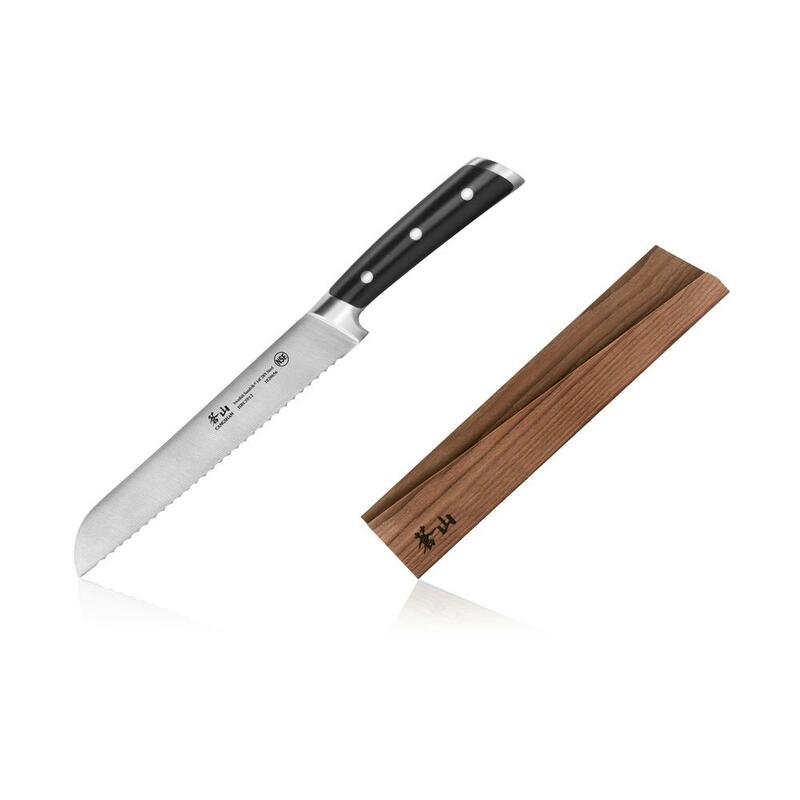 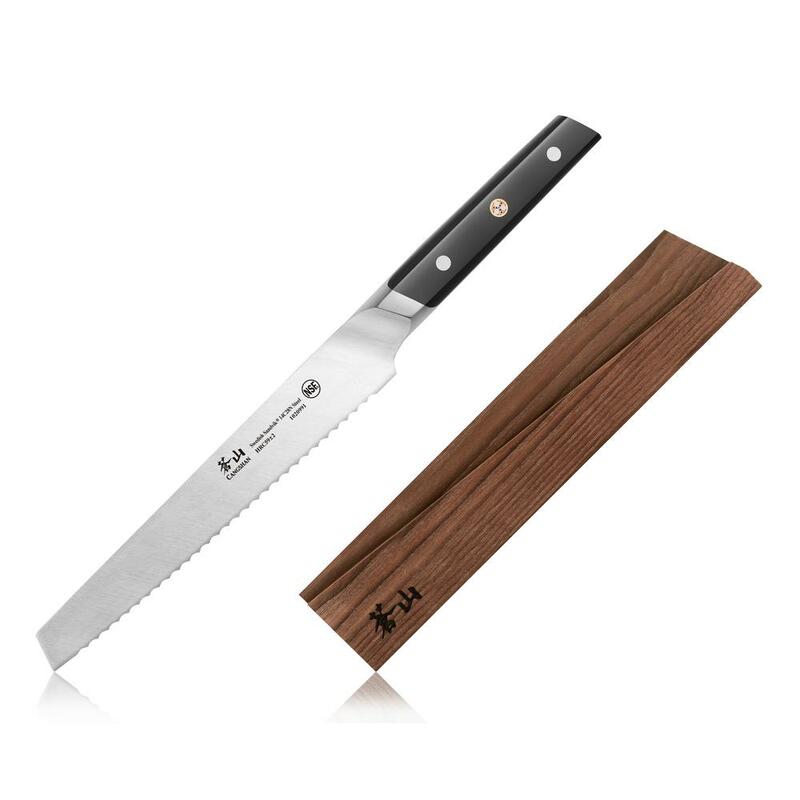 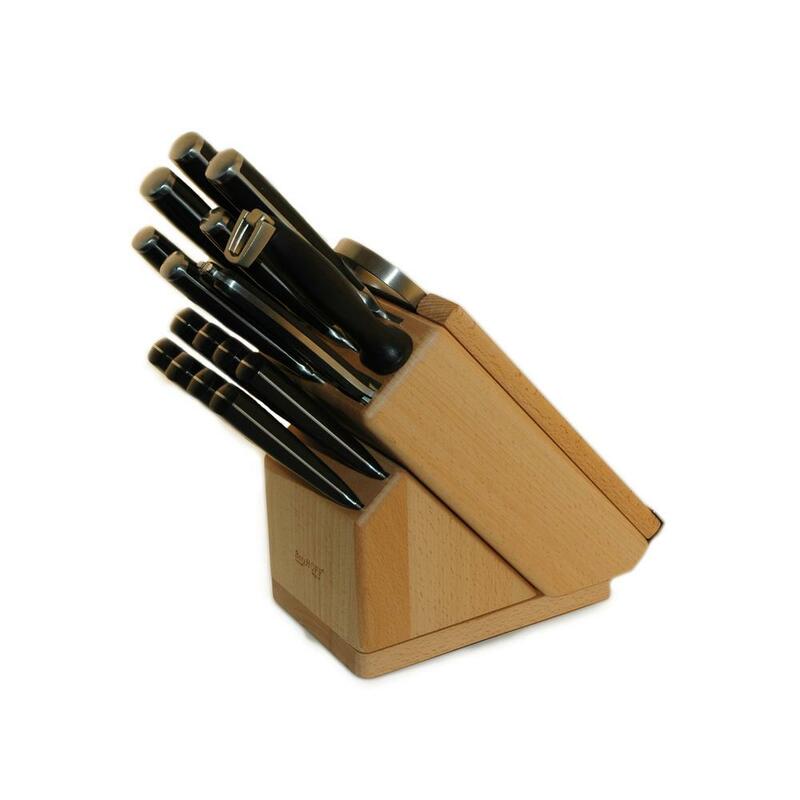 Some knife sets also come with cutting boards or with a wood block for safe storage. Make sure you know how to sharpen a bread knife and do it often to keep it performing well. 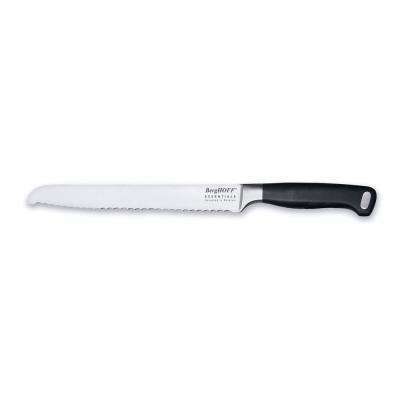 You can use a serrated knife-sharpening tool to manually sharpen the blade, or opt for an automated sharpener to keep your knives sharp with minimal effort.